Happy Friday | Chisel: a wedgelike tool with a cutting edge at the end of the blade, often made of steel, used for cutting or shaping wood, stone, etc. 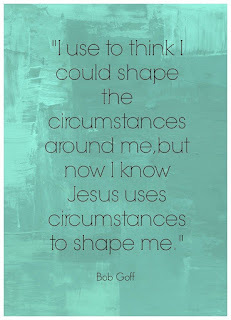 Often times God uses a “chisel” of a circumstance to cut, shape, or fashion us into the people He created us to be. 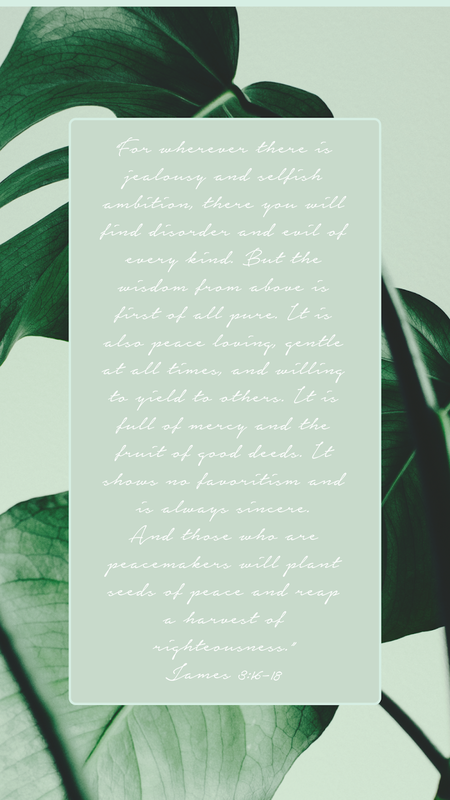 Though our natural reaction is to fight the process, and try to escape it, it is for our benefit that we remain still and allow the master creator to chisel. Too good not to share. This was last Sunday’s message at Christ Fellowship (Click the link to listen). I’ve been meditating on it all week. As I read the notes this morning, I now know that 1 Corinthians 10:31 is my verse for 2019. My resolve for the next twelve months is that people wouldn’t see me, but the character of God in all that I do. That’s a bold statement to make and with it comes a lot of pressure if I attempt to do it by my own efforts and strength. However, an every moment dependence and reliance on the Holy Spirit can and will help me to glorify God. The same power is available to you. 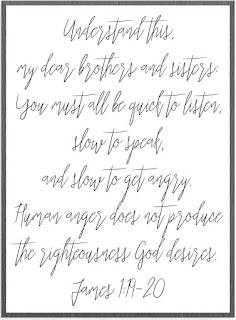 Anger is one of those areas that the Lord instantly healed when I surrendered my life to Him. He truly replaced anger for unspeakable joy. I recognize that the joy of the Lord is my strength. That’s not to say that there are times where I allow His joy to be rocked by anger and frustration. I’m a long ways away from saying I don’t struggle with anger. But it doesn’t overtake me like it used to. 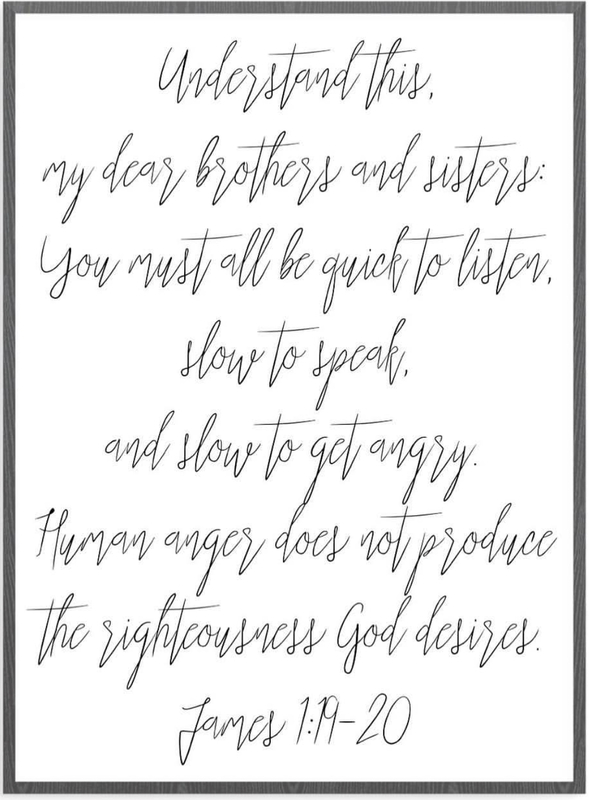 If you struggle with anger, I’d love to pray for you. I’ve been there (many times) where I can’t kick off the anger, and I replay specific conversations or scenarios over and over, and the anger just festers and eats away at me. If that anger isn’t dealt with, you’re in danger of it becoming bitterneness, and bitterness is a death to the soul. So, let’s deal with it today so that the righteousness God desires can be produced in our lives. . Happy January 1st! 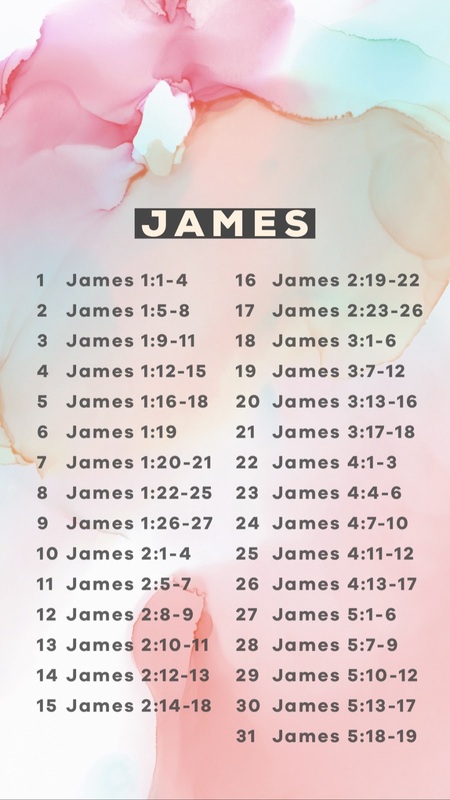 We’re starting 2019 with the book of James. In the midst of Paul’s many letters, we come across this gem. Written by the very brother of Jesus. He was the leader of Jerusalem church and writes to the Jewish Christians who have been scattered by persecution. He encourages them to indure their trials with Christian fortitude and to exhibit consistent Christian character. Before we begin, let’s first settle this truth: Mary and Joseph had children. You can reference Matthew 13:55 and Acts 15:13-21. During Jesus his public ministry, neither James nor the other siblings or followers of Jesus. They had even tried to end his ministry and bring him home to his responsibilities as eldest son (Mark 3:31-35; John 7:3-5). The resurrection appearances convinced James that Jesus was the Christ (1 Corinthians 15:7), and he was with the others in the upper room when the Holy Spirit was given on Pentecost (Acts 1:14, 2:1-3). James became the leader of the Jerusalem church after Peter’s arrest and departure from Jerusalem (Acts 12,15, and 21). 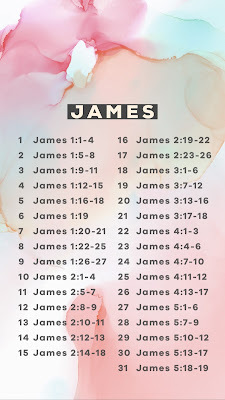 Now that we have that out of the way, let’s dive in to the letter of James. It will help us understand how Christians should live when they are a minority group in the midst of an oppressive, non-Christian society. It is alive with godly counsel for us today. Get your pen and journal ready, open the word and dive in. If I could only choose one name to describe God this year, it would have to be Redeemer. 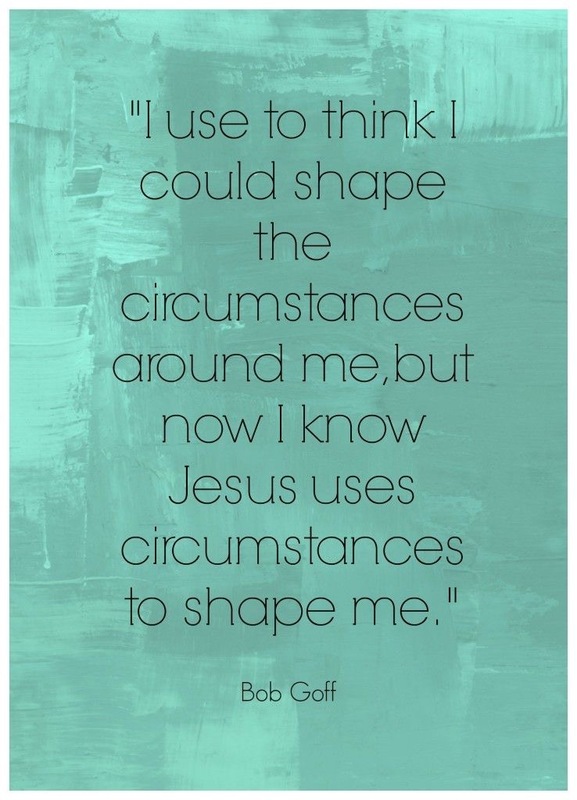 He has redeemed my life in so many ways. He has been liberator, deliverer, rescuer, and preserver. This year He opened my eyes to see that despite spiritual ups and downs, He has preserved my calling and my dream. What once seemed hopeless and forgotten, was redeemed in a new and unexpected way. It will be five years in May 2019, that I endured an almost crippling spiritual divorce (there is no other way to describe it than by calling it as such). Depression and bitterness settled in my heart, BUT God plowed through every so gently and with great patience. 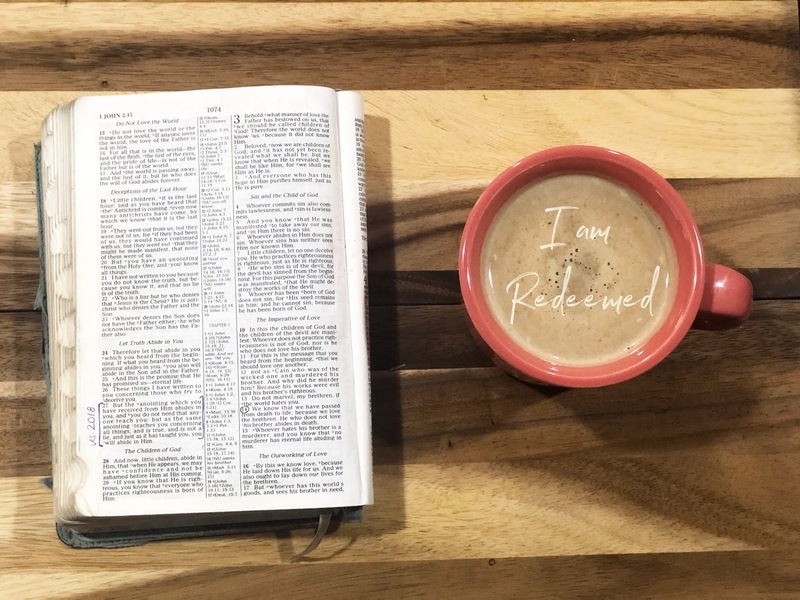 I suffered spiritually in seasons of dessert living while my Bible remained closed, BUT God continued to satisfy my hunger and thirst through the faithful teaching of the Word and worship at Calvary Chapel Fort Lauderdale. It was and will always be my oasis, my place of refuge and relief. My image of the church had been shattered, BUT God painted a beautiful picture of what the church truly is through the Bible study group He has called Josie and I to lead. 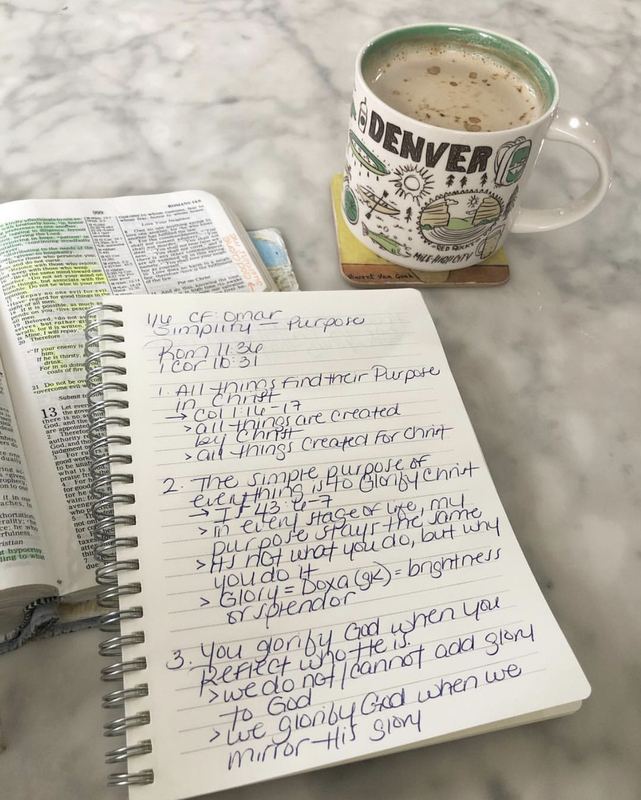 We were broken women who needed to study the Word together with other broken women, and God has used each life as a paintbrush to paint community, love, and truth in our hearts. And just when I was satisfied with how He had redeemed what was broken, He redeemed what was forgotten. In November of 2017, I filled a card to serve at Christ Fellowship. Though I was extremely apprehensive about doing so, I did it out of obedience. Five months later I received a call. And in that conversation, what had been tucked and sealed away in the hidden chambers of my heart was brought to surface. And the verse the Lord gave me in January 2018 made complete sense to me in that moment: “But the anointing which you have received from Him abides in you...” 1 John 2:27. The anointing still abides in me! I set no expectations other than to wait on Him and walk in full obedience. Oh, sweet Jesus, you truly redeem what is broken, hopeless, and forgotten. Hope, believe, and persevere in hardships. Don’t give in and don’t give up! Walk in obedience and He will make all things new. No greater love story ever told. I’ve always loved Mary’s story, I even personified her in a monologue. But Joseph’s story, I’ve never stopped to really consider the emotions, fears, doubts, and uncertainties that he faced. I can’t say that I’ve ever reflected on His obedience. We know so little of Joseph, but one thing we do know, he knew his Savior. He held Him. 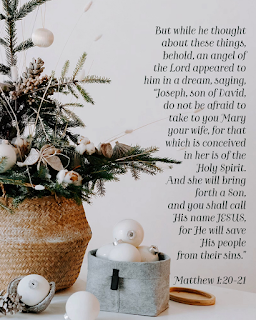 He beheld Him. He cared for Him. He nurtured Him. He feed Him. He clothed Him. He raised Him. He taught Him. He loved Him. Wow, what a privilege. We celebrate today the birth of Jesus, the day that totally rocked Joseph’s life. 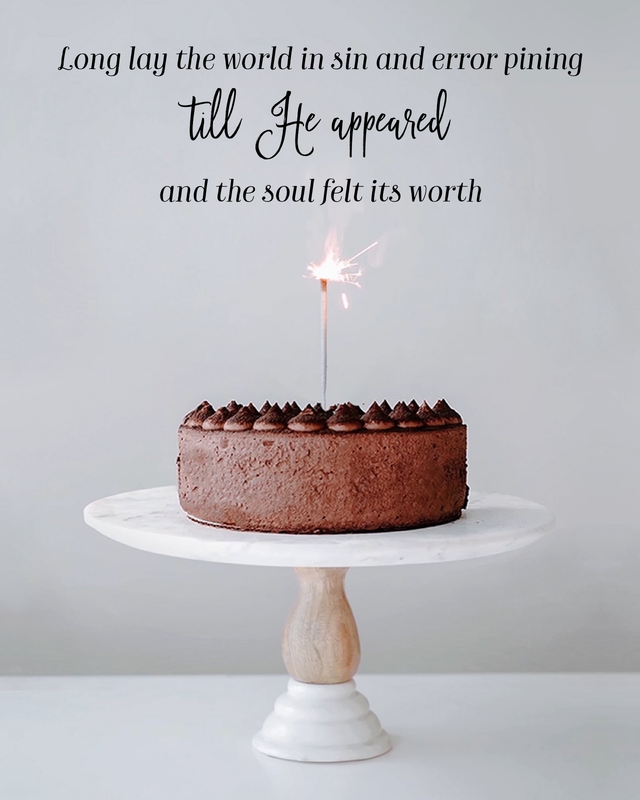 As he embraced the Savior of the world, his life forever changed. You too can behold and embrace your Savior as well, and believe me that you’re life will be changed forever. Letting go of the past and holding unto Jesus. Thank You Jesus for appearing. My soul has truly found its worth in You. Alright Ladies, grab a pen, journal, and Bible. Let’s inscribe God’s Word together. For the month of April we will be journaling through the book of Galatians. So much gold in this book.